“There are certain forces that we have no control over which is the pricing of certain ingredients that we have to obviously pass along at some point because you can’t absorb it anymore,” says Manuel, whose brand revolves around the use of real Madagascar vanilla. Vanilla prices are the highest they’ve ever been, says David van der Walde, director of Montreal-based vanilla importing company Aust & Hachmann Canada. So big food companies responded, with Hershey’s among the power players that announced a switch to real vanilla in 2015 for their chocolate bars. “And then the price starts to go up again,” he says. Things only got worse in March 2017 when a cyclone hit Madagascar, the world’s leading producer of vanilla, destroying a good portion of their output for 2018. “We’re getting to the point now where it’s getting very, very, short supply,” says Chalykoff, president of London Ice Cream based in London, Ont. For now, he’s absorbing the cost, but with margins shrinking, he admits he’s weighed the pros and cons of charging more. “It’s unfortunate because a lot of people don’t really recognize the difference between one vanilla to the next, and you really get lumped in with (other) vanilla ice cream,” he says. “We sell vanilla beans directly to small ice cream shops here in Montreal who use them and they’re freaking out over the prices,” he said. 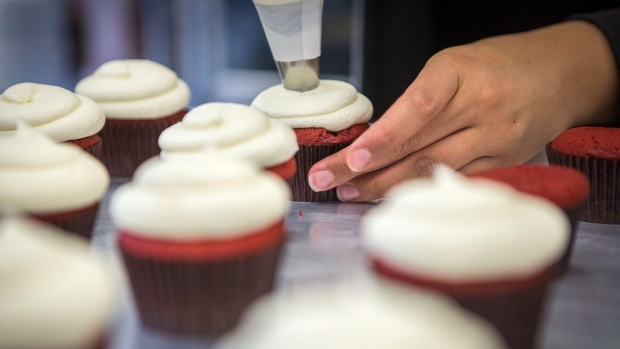 Chow’s online store sells to home bakers and commercial kitchens, with varied vanilla clients including soap makers, tea sellers and breweries. “We kind of just changed a little of our focus to chocolate-supplying versus the vanilla so that our company can sustain as well,” says Chow, based in Markham, Ont. “Our main vanilla supplier, what they’re offering now is a blend; they’re cutting it with a vanillin-type thing, which is a compromise,” he says. As for this year’s Madagascar harvest, he says that runs May to August, but the beans — which are actually the fruit of an orchid — are harvested green, and need six months to prepare for export. That means a fresh influx isn’t expected before fall, with the best beans not expected until November or December, says van der Walde. The market is driven by big industrial buyers like the flavour company McCormick — not loyal customers of gourmet shops or grocery stores, he adds. “They buy 80 per cent of the vanilla out there, so they’re the ones that determine how high the market can go,” says van der Walde. Previous PostCould Vegan Protein Be Just As Effective As Whey for Building Muscle?